The NYC Cooling Tower Laws were passed to keep people safe from legionella bacteria and the severe form of pneumonia that it causes. Over the past year, thousands of cooling towers were inspected and tested by the Department of Health’s newly staffed Office of Building Water Supply Oversight (OBWSO). 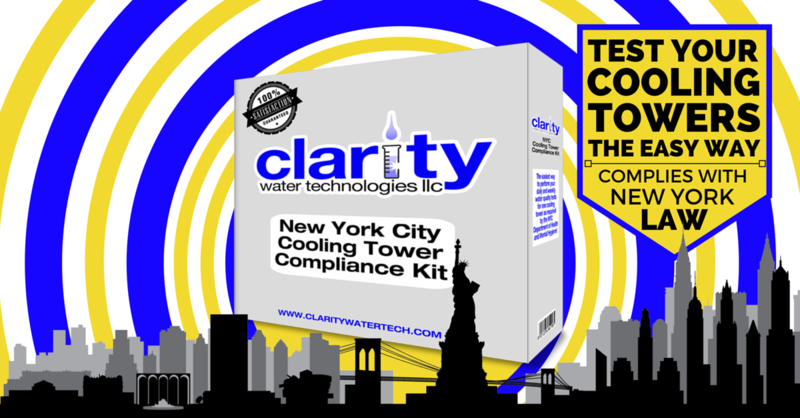 If you are a cooling tower owner in New York City and have received an Inspection Summary Report (ISR) or a Violation Deficiency Report (VDR) then this is article for you. At first glance these documents, issued by the OBWSO, can be very confusing. 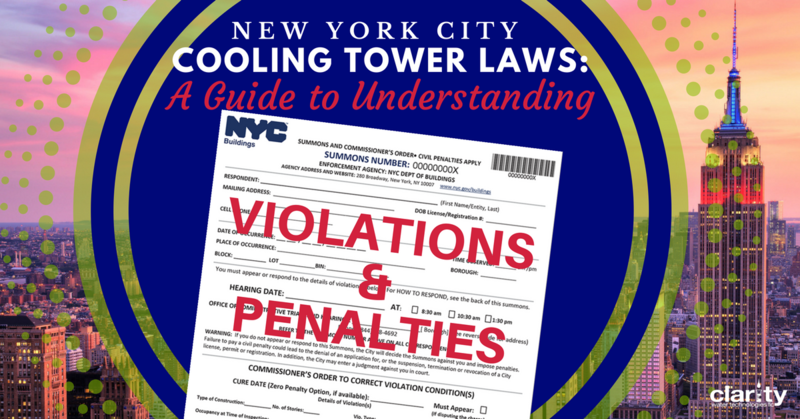 The following article and FREE downloadable eBook can help answer questions that you may have about your NYC cooling tower ISR, VDR, and/or summons or any assessed fines or penalties. 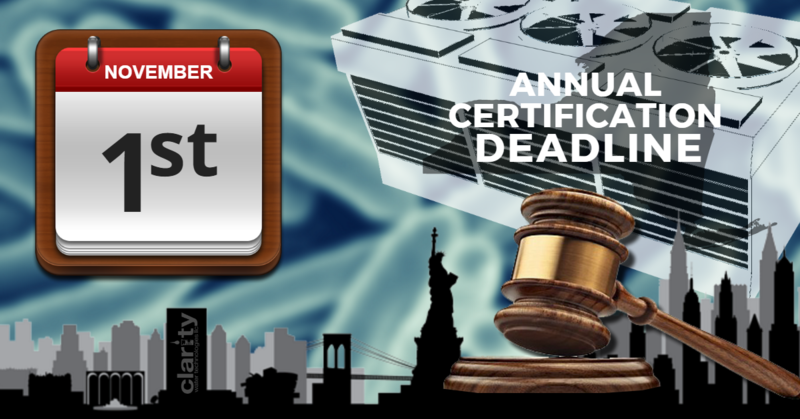 November 1st Deadline for Annual Certification of NY Cooling Towers! 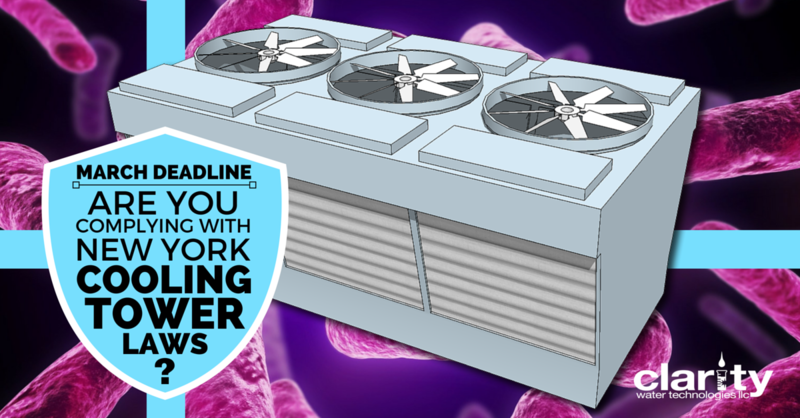 In its all-out war against the mighty legionella bacteria, New York has passed sweeping legislation regarding cooling towers over the past year. 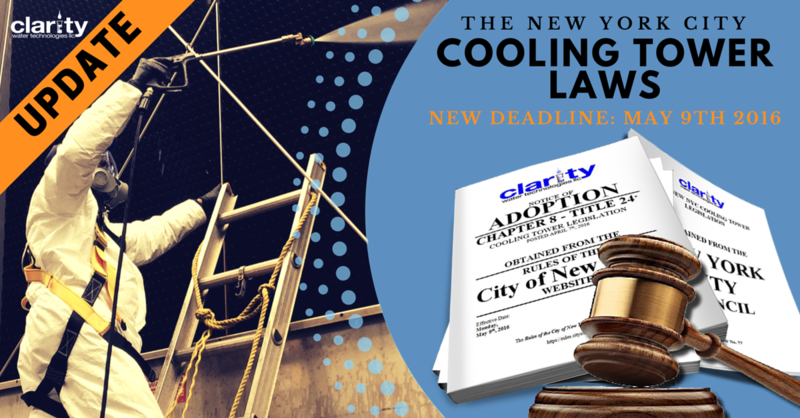 One of the upcoming deadlines in New York City and State regarding compliance is the portion of the laws that require annual cooling tower certification. In the State of New York, building owners and property managers must annually certify that their cooling towers have been inspected, tested, cleaned and disinfected in compliance with New York State Legionella Law - Part 4 of Title 10: Protection Against Legionella. New York City has their own version of this law that must also be followed by building owner that operate a cooling tower with the five boroughs of NYC; the requirements of which are spelled out in Local Law 77 of 2015 and Chapter 8 (Cooling Towers) of Title 24 of the Rules of the City of New York. 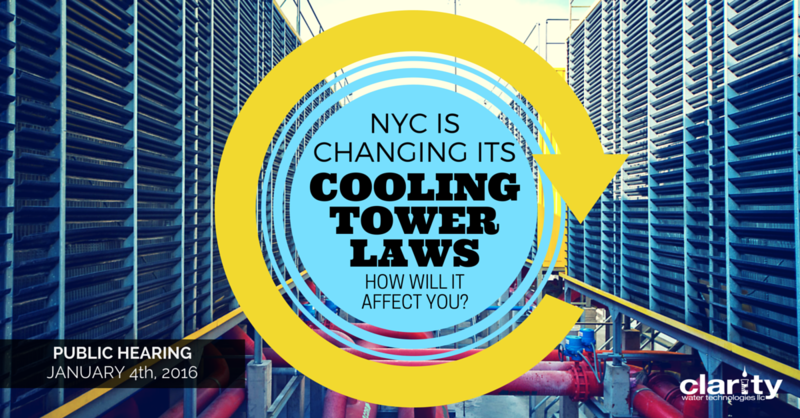 Are the New York City and New York State Cooling Tower Laws confusing you? You are not alone. We get dozens of calls asking which law applies to which location and when. While we cannot offer legal advice on how you should interpret the laws, we can offer you some assistance in navigating them for yourself. New Law Passed for Cooling Tower Owners in New York State! 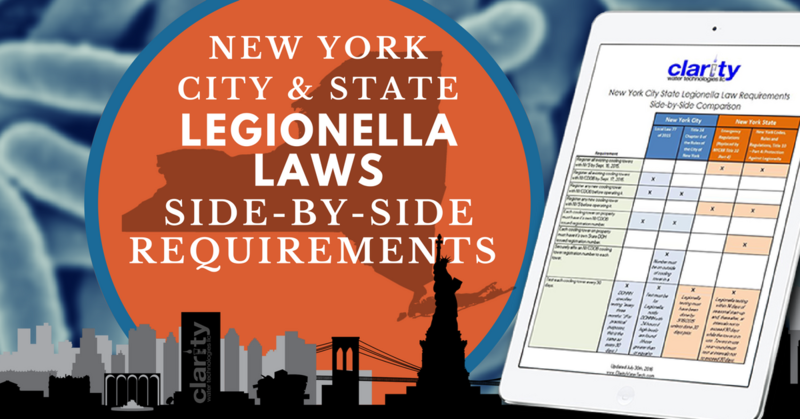 On July 6th, 2016, New York State adopted a new Part 4 to Title 10 of the New York Code, Rules and Regulations entitled Protection Against Legionella. 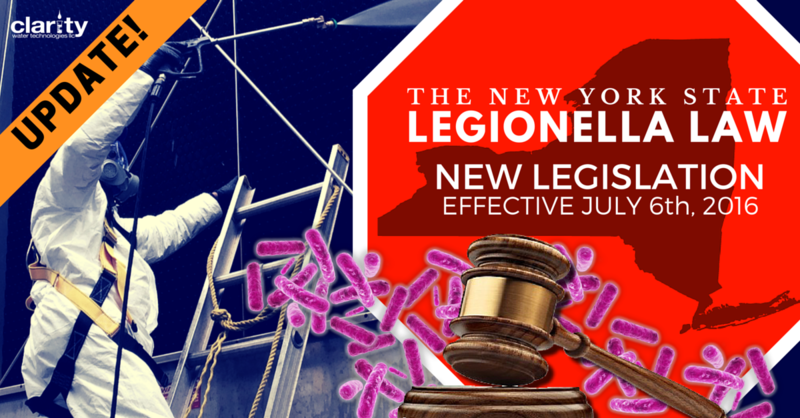 Officially known as NYCRR Title 10 Part 4: Protection Against Legionella, it is now the definitive regulation governing Legionella prevention in New York. This new legislation closely mirrors NYC’s Title 24 Chapter 8 of the Rules of the City of New York and the New York State emergency legislation that it replaces regarding legionella in cooling towers for all buildings and legionella in potable water systems for healthcare facilities throughout New York State. There are however, some significant additions and changes that NY building owners should be aware of. 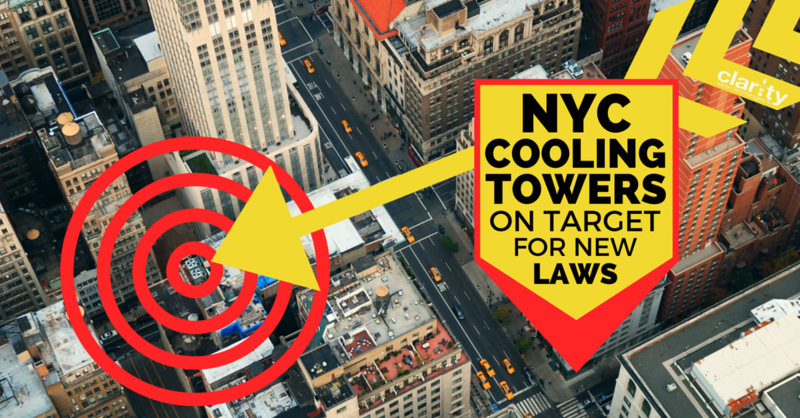 If you are responsible for a cooling tower in the State of New York, including the five boroughs, you are probably going to want to be familiar with this new law. The NYC Cooling Tower Maintenance Program March 1st Deadline is Here! Attention NYC Building Owners! The governing bodies of New York City and New York State are requiring all owners of cooling towers to implement a Cooling Tower Maintenance Program and Plan by March 1st, 2016 or face potential fines and penalties. Navigating the City and State laws that require this maintenance plan to be in place may not be easy for some and there is a possibility that many cooling tower owners do not even realize that there are new requirements that need their attention immediately. If you are just catching up on your New York Cooling Tower laws, there has been a lot going on lately! Building owners, water treatment companies, and environmental consultants have all been struggling to keep up with the evolving regulations. The current “law of the land” that governs what must be done in order to properly operate a cooling tower in New York City was established in Local Law 77 of 2015 which was passed by NYC Mayor Bill de Blasio on August 18th, 2015. This past summer New York City experienced the worst Legionnaires’ disease outbreak in its recorded history. In what is now being referred to as the NYC Legionella Outbreak of 2015, more than 130 people were sickened and 16 people tragically died. In an effort to keep the public safe, both the City and State of New York passed emergency legislation designed to regulate the operation and maintenance of cooling towers. Today, the NYC Department of Health and Mental Hygiene (DOHMH) seeks to make those emergency provisions stronger and lasting; and will hold a public hearing to discuss and pass their newly proposed rules. The hearing will take place from 10AM to 12PM on January 4, 2016 at DOHMH headquarters in Long Island City. Once the hearing is over, the DOHMH will modify the rules based on the public’s feedback, if necessary, and then draft a final version. A copy is then published in the City Record and submitted to the City Council where it will be voted on to become law. This legislation will have an effect on the operation procedures of any building that operates a cooling, as well as the water treatment companies and environmental consulting firms that service them.